Photo by Mariana Gil / WRI Brazil | EMBARQ Brazil. While rapid growth can cause a range of problems for cities, urbanization can also be an opportunity to change how cities are planned, making them more sustainable, people-centered places. 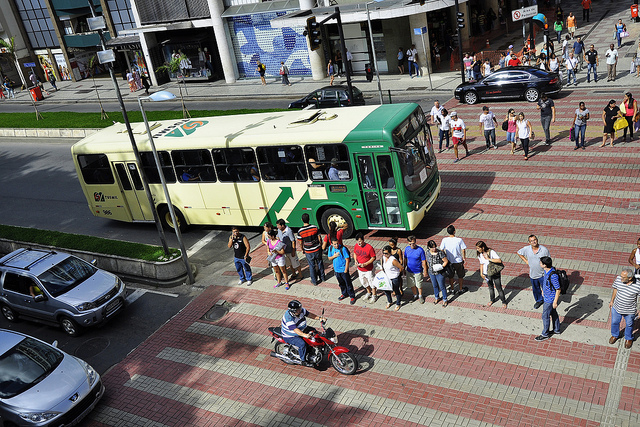 Rethinking current patterns of expansion for a more compact and connected model can expand employment opportunity, access to quality public spaces, the supply of sustainable transport, and enhance economic activity. Many cities are currently growing with a “3D” model of development—distant, dispersed, and disconnected. Expansion without proper planning leads to spatial and social segregation, while also increasing congestion, pollution, and daily travel times. Transit-oriented development (TOD) is a model for planning sustainable urban communities with compact neighborhoods, high population densities, diverse land uses, and abundant public spaces. The goal is to ensure sustainability mobility and economic development. Compact neighborhoods generate more accessible job opportunities. Mixed land uses and diverse activities at the street level encourage pedestrian traffic, stimulating commerce and the local economy. By planning transit smartly to manage growth, TOD is an excellent vehicle for economic development. Low population densities and suburban sprawl increase infrastructure and maintenance costs, and cause additional social costs by requiring people to traveling longer distances. 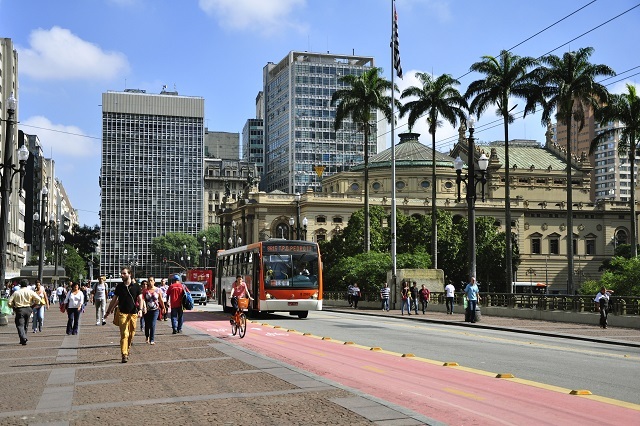 In 2013, congestion recorded in the metropolitan regions of São Paulo and Rio de Janeiro cost Brazilians BRL $98 billion, equivalent to 2 percent of GDP that year. Taking into account the costs resulting from traffic accidents and health impacts, that number would be even higher. Transit-oriented development (TOD) is a “3C” model for development—compact, connected, and coordinated—that has a direct impact on urban mobility and the economy. TOD reduces travel times, congestion, and emissions—expanding access to different areas of the city and thus stimulating economic activity. Comfort and safety is necessary for active transport and non-motorized mobility. Photo by Mariana Gil / WRI Brazil | EMBARQ Brazil. When public transport is designed to serve sparsely populated areas over long distances, service often becomes inefficient. Sprawled systems end up operating at irregular hours, with fewer routes and stations. As a result, both operating costs and user fares go up. Therefore, one principle of TOD is simply quality public transport. 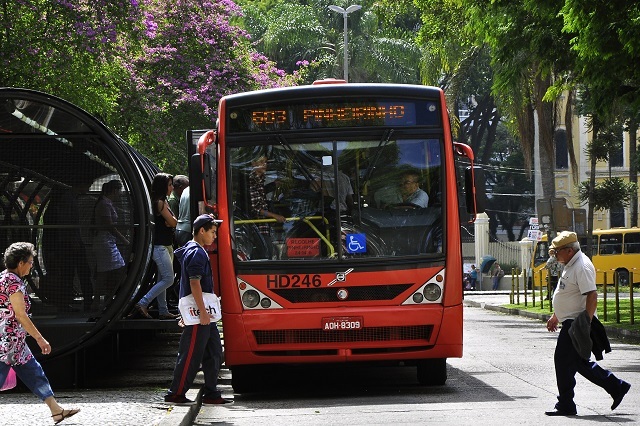 With the quality of public transport directly related to how cities develop, it’s critical that neighborhoods are connected and invest in infrastructure. Good service helps attract new users, reducing car dependency and costs for both people and local governments. Affordable and efficient service helps connect people to the city. Photo by Mariana Gil / WRI Brazil | EMBARQ Brazil. Next to quality public transportation, TOD prioritizes non-motorized mobility and car use management. By providing pedestrian-friendly conditions, bike infrastructure, and comfortable and safe public transport, cities can help balance car use. Doing so helps reduce the number of accidents and traffic fatalities, improves public health, and avoids significant health spending . Another way that TOD can benefit local economies is through mixed land use. Many current housing developments—particularly affordable housing—are not located near urban services and commercial activity. This gap between residents’ needs and their access to resources creates real costs for both people and governments. In addition to the direct costs of travel fares, sprawl wastes the opportunity to generate income at a local level. On the other hand, mixed land use enhances economic activity by diversifying the types of goods and services readily accessible. Infrastructure and public furniture makes for a more vibrant and diverse urban environment. Photo by Oran Viriyincy / Flickr. Neighborhoods without commercial activity or high-quality public spaces force residents to travel in order to access the resources they need. 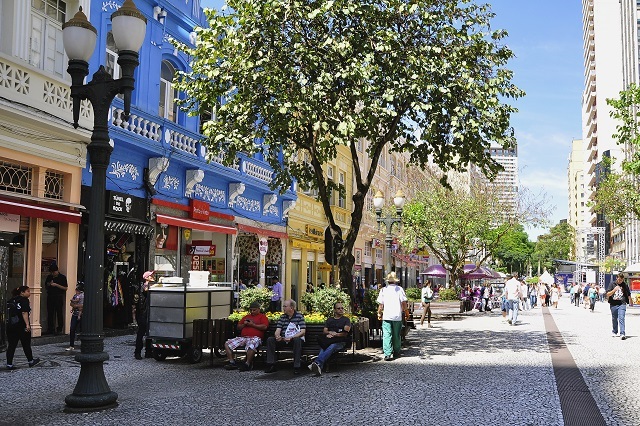 Vibrant neighborhood centers and active ground levels facilitate social interaction and avoid the need to travel. This is one way to orient neighborhoods around vital economic activity with a steady circulation of people. 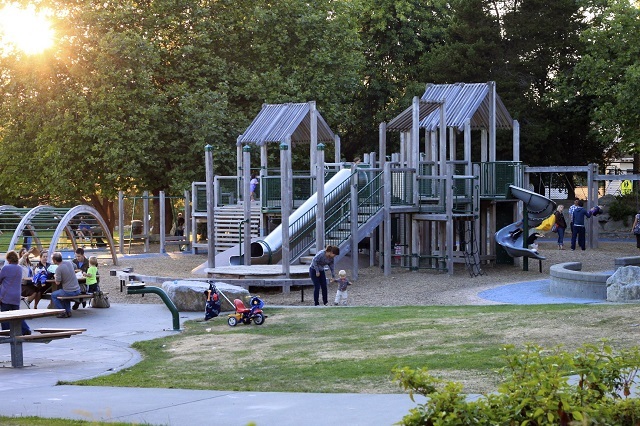 Active neighborhood centers that are attractive can help stimulate the local economy. Photo by Mariana Gil / WRI Brazil | EMBARQ Brazil. Neighborhoods that more connected require fewer and shorter daily trips. Prioritizing active transport reduces congestion and emissions and expands access to opportunities throughout the city. The planning model we use determines how we move about cities, how much time we spend in transit, and how much money we have to spend. TOD reduces individual and public spending, ensuring a better quality of life for all.